The integration of the latest relevant science and industry practice with fundamental biotechnology concepts is presented with entries from internationally recognized world leaders in their given fields. 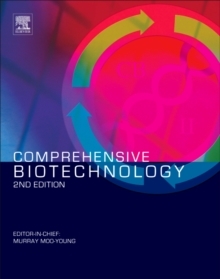 With two volumes covering basic fundamentals, and four volumes of applications, from environmental biotechnology and safety to medical biotechnology and healthcare, this work serves the needs of newcomers as well as established experts combining the latest relevant science and industry practice in a manageable format. It is a multi-authored work, written by experts and vetted by a prestigious advisory board and group of volume editors who are biotechnology innovators and educators with international influence.